Due to the heavy usage of asbestos during the 20th Century, senior citizens find themselves at risk for exposure to the toxic substance and subsequent illness with a type of cancer called mesothelioma. Asbestos has been used since ancient times as a fortifier and building material, but due to its cheapness, durability, and flame-resistance, it was used extensively in industry until the 1980s. The danger in asbestos lies in its composition – the substance can break into airborne particulate matter, which is extremely detrimental to human health. Here, we will discuss five facts in order to raise awareness on the dangers of asbestos exposure. While many synthetic building products and materials exist, it is important to note that asbestos is a natural, organic mineral, which is not always synonymous with healthy! It is composed of silicate minerals, and can be identified in six separate types. Often, asbestos can be differentiated by its color, such as blue or brown asbestos. The mineral exists in long, crystalline structures, which makes them liable to break when moved. This characteristic is what makes asbestos so dangerous – the fragments become inhaled or ingested without any notice, leading to various forms of lung disease. Internationally, asbestos has been banned outright in 55 countries, including the entire European Union. It is important to note that, although banned, asbestos still lurks in many homes and structures built prior to regulatory legislation. One may find asbestos in insulation, flooring, wiring, and roofing. Additionally, veterans have an increased risk for exposure, especially those who’ve served in the Navy, as the material was used on ships. The Environmental Protection Agency is currently reviewing asbestos’ effect on human health, but they have not banned the substance outright. Asbestos exposure can result in a very rare and severe form of cancer known as mesothelioma. Mesothelioma affects the lining of the lungs, heart, or abdomen, and is the result of the inhalation or ingestion of asbestos particles. 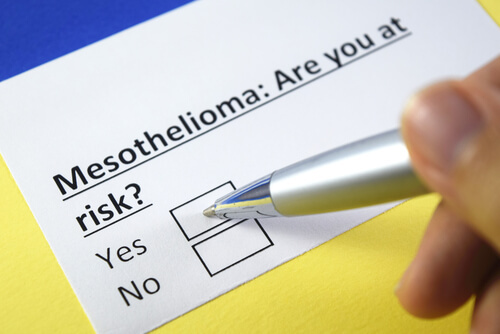 The quantifiable amount of exposure needed in order to cause mesothelioma is not known, and healthcare professionals and OSHA contend that no level of asbestos exposure is safe. Symptoms include chest tightness, shortness of breath and the buildup of fluid in the lungs. It is unknown to most patients when exactly their exposure occurred, so it is important to discuss any symptoms with a doctor. Mesothelioma has a latency period in which the lodged asbestos particulate matter stays in the body and affects cell development. Typically, mesothelioma will not manifest in patients until 10-50 years after exposure. Due to this latency period, many cases of mesothelioma go undiagnosed or misdiagnosed until the cancer reaches its late stages. While advances are made in the field of oncology everyday, there still is no cure for mesothelioma. Those diagnosed have a very poor outlook on their condition, as most succumb to the illness within 12 to 21 months after learning of their cancer. 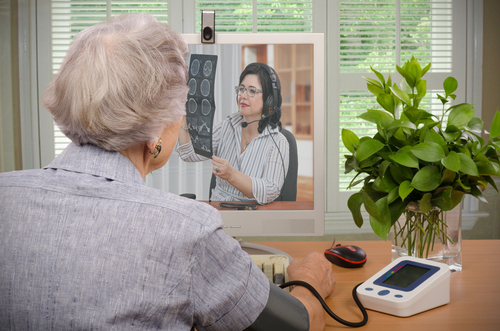 Often, diagnoses are not made until the later stages of cancer, in which treatment options can be very limited. Mesothelioma patients can expect their specialist to recommend a comprehensive treatment, which generally is a conjunction of chemotherapy, radiation, and sometimes, surgery. Emerging treatments, such as immunotherapy, have yielded favorable results in some cases. Although asbestos is most commonly thought of as a building material for construction and electrical applications, it was also used extensively in normal household products. Prior to the mid-1970s, asbestos could be found in crock pots, home appliances like hair dryers and popcorn poppers, and even children’s toys. In 2015, CNN reported that asbestos was found in crayons and toy crime lab kits. While regulatory action has been undertaken to remove these substances, many seniors may have unknowingly been exposed to these contaminants during periods of heavy asbestos usage.